Happy weekend and HAPPY VETERAN’S DAY! I’d like to thank all the services members in my life for their dedication and willingness to do the necessary to protect my little girls, my family, my friends, and this wonderful country. 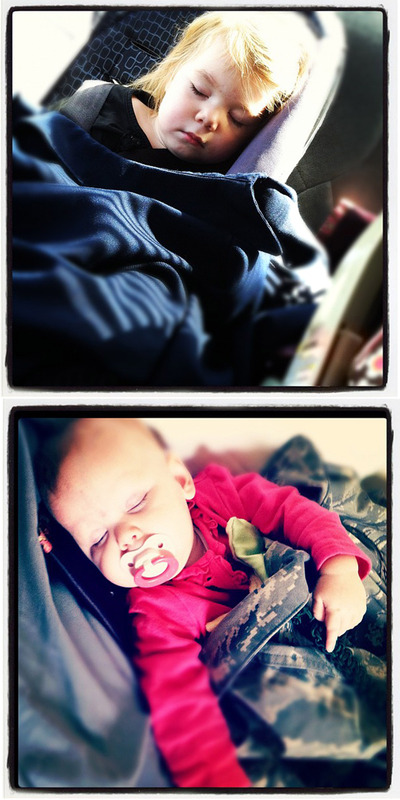 Aren’t these little lades the very cutest little sleepers? I just love my babies!! Check back tomorrow for a great feature on Yellow Elm; Get your holiday lists out! The shop owner has offered a special discount to readers of this blog!